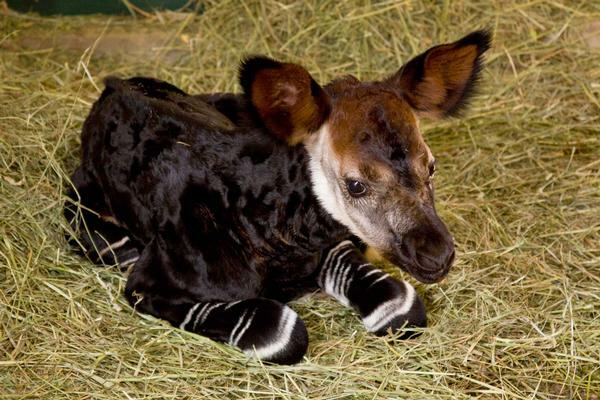 This really cool animal is called the Okapi. It has the head of a giraffe, the body of a horse, and the legs of a zebra. 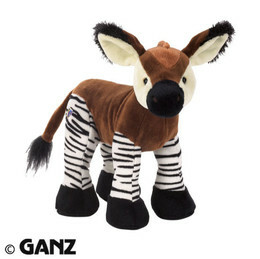 Three cool animals in one! A very interesting animal indeed. 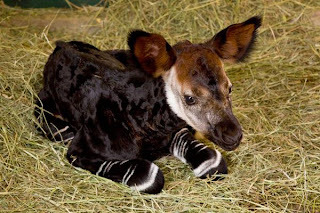 Although they look like a horse, zebra, and giraffe mix they are most closely related to the Giraffe. 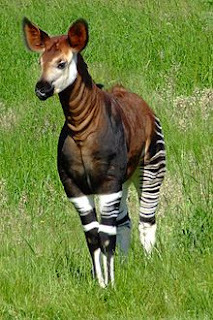 They live in the Democratic Republic of the Congo and there are currently 10-20,000 Okapi in the wild today. They actually get pretty big too about 6 to 8 feet long, 5 to 6 feet tall, and 400 to 600 pounds. Click here for more cool animals.